What can I say about ‘Retribution’? It’s great! 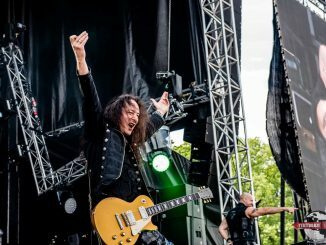 It’s got a classic melodic rock feel to it with masterful guitars throughout. Well crafted melodic tracks blended with smooth melodic vocals that hit notes and tones that fit the music perfectly. Jeff Scott Soto picked the perfect musicians to create this album with. The level of performance and skill from each member comes through each song as the album progresses. The album kicks off with a funky melodic tune with the title track “Retribution” that’s got some organ style keyboards that dip back into the old school rock days of Rainbow and Deep Purple, but with a refreshed and updated rock sound. Perfectly balanced between killer vocals and instrumental mayhem. This song sets the listener up for what’s to follow in the remainder of the album. For the bass lovers “Rage of the Year” is the song that lets the bass rip wildly. Paired with some great guitar riffs, intense drumming and a manic solo, this song will please the toughest of music critics. The vocal range is also flexed on this track allowing for a blend of higher and lower vocal tones to mix up the song a bit. After the first couple of choruses you are going to get some cool petal action followed with a killer guitar solo. When you get to “Reign Again” you may feel a familiar feel to the sound of this song. 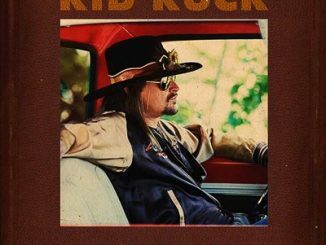 For me, I was reminded of Creedence Cleerwater Revival’s “Fortunate Son” with the style of the guitars and the tone in Jeff Scott Soto‘s vocals in the opening verse. “Last Time” is full awesome hooks and chords that you want to keep hearing over and over. “Bullet For My Baby” has a jazz like undertone in the music that switches back and forth that adds an intriguing style to the song along with a surprising wahwah that I wasn’t expecting to hear on this album. Jeff Scott Soto has added a couple of slower songs to this album as well. “Song For Joey” is the first of the two songs to slow down the feel of the album. “Song For Joey “ is special tribute song that was written for Joey Soto, Jeff‘s brother. ‘Retribution’ closes out with “Autumn” that starts out with an acoustic intro and tones down the tempo as this soft melodic song unfolds with vulnerable vocals that run into a dreamy chorus that mixes in additional vocals. I think this was the perfect way to close out this album. 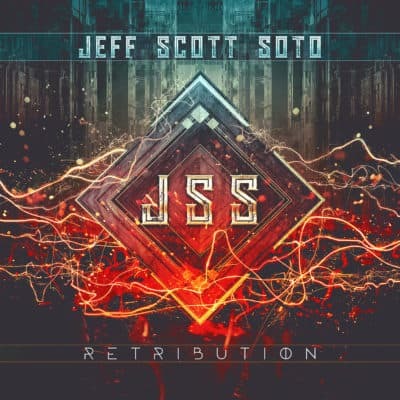 Jeff Scott Soto has managed to create a great new release and I say, buy it. This is an exceptional melodic rock album.